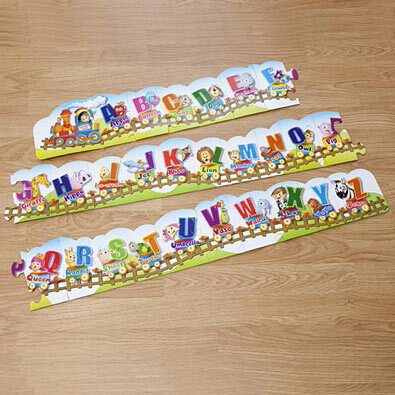 Mastering your ABC's and counting 1-15 is easy with these 27 piece train floor puzzles. Each train contains extra thick, durable pieces and measures a giant 2m long x 15.25cm high. Children will have fun over and over again while developing motor and recognition skills. Gift boxed with carry handle. Mastering your ABC's and counting 1-15 is easy with these 27 piece train floor puzzles. Each train contains extra thick, durable pieces and measures a giant 2m long x 15cm high. Children will have fun over and over again while developing motor and recognition skills. Gift boxed with carry handle.